PACKAGING NOT GUARANTEED TO BE IN MINT CONDITION. NOT MINT ITEMS MAY SELL OUT AT ANY TIME. ORDERS MAY NOT BE FILLED. 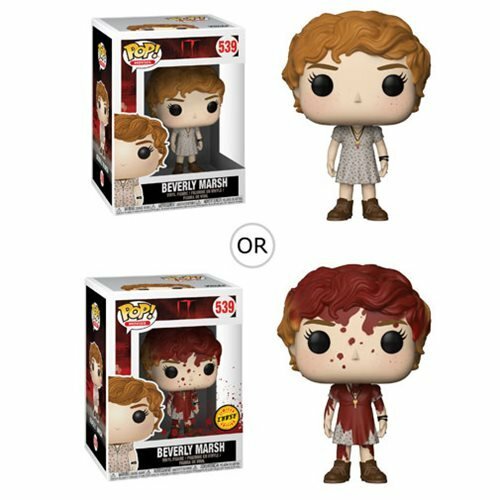 From the 2018 version of Stephen King’s It comes a stylized vinyl figure of Beverly! This It Beverly with Key Necklace Pop! Vinyl Figure measures approximately 3 3/4-inches tall. Comes packaged in a window display box. Ages 3 and up. Please note: This item may have variants randomly inserted throughout the production run. We cannot accept requests for specific variants, nor can we accept returns on opened items. The item you receive may be different from the one pictured.